It's my Mom's 78th Birthday!!! Here are the recent pictures. We are moving dirt around so that the set bases and framing can be installed tomorrow. This will begin at 2pm. You are also welcome to help the carpenters too. If any one wants to help on Sunday afternoon, please let me know. I am thinking 1 to 3pm to put the dirt back into place. Friday, May 21st 2:30pm - At this moment, I am waiting for to find out where we stand with the sets. If they are not ready yet, then I will build them myself tonight!! 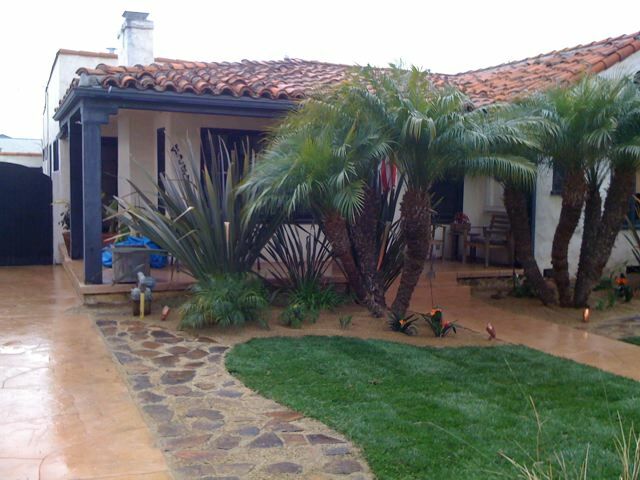 We can get somethings done tomorrow at the site, such as covering the white lattice with the brown shade cloth. And sculpt the left side where there are no sets. 11. 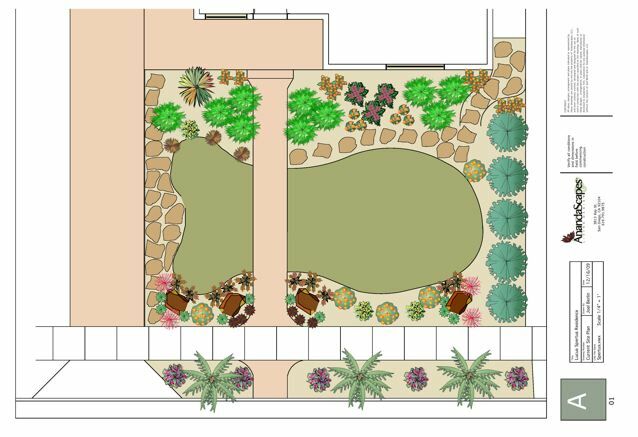 Attach Living Wall - may add drip lines this is TBD on time? Volunteer Breakfast is this Saturday at 11am. We are meeting at the Denny's across form the Fair Grounds. Afterwards those who want pick up their badges can do so for $15 cash. There are many perks that come with this badge, which will be explained at the breakfast. Please RSVP ONLY if you plan to attend the breakfast. I do need a accurate head count Cheers! AnandaScapes is exhibiting in the Paul Ecke Jr. Flower & Garden Show in Landscape design, at the 2010 San Diego County Fair. 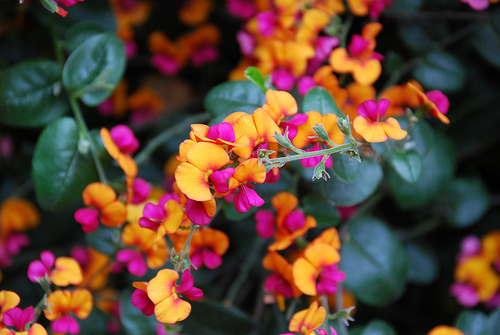 Chorizema 'Bush Flame' (Flame Pea) - An evergreen plant with arching to semi erect sprays of brilliant orange and pink pea flowers with some bloom almost the year around and peak flowering from fall through early spring. 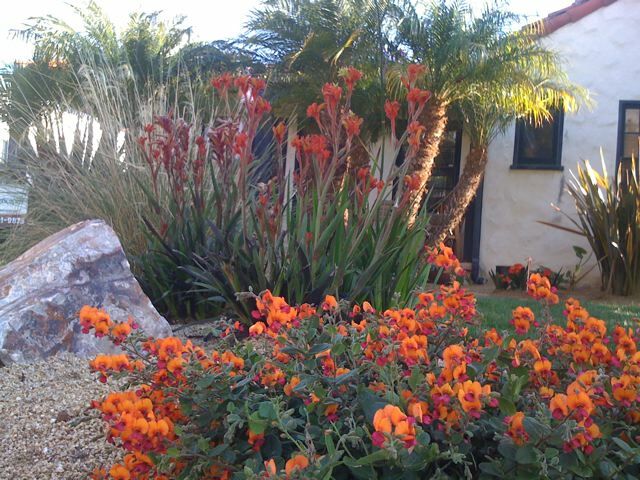 'Bush Flame' to 2 to 3 feet tall by 3 feet wide or wider with bright green heart shaped leaves. 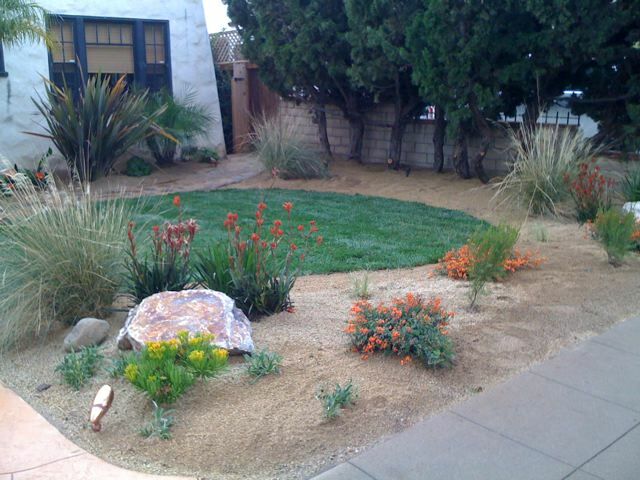 Grow in sun to light shade with good drainage.